Each year, thousands of Keller Williams associates around the country spend the day away from their businesses serving worthy organizations and causes in their communities. We call this RED Day! 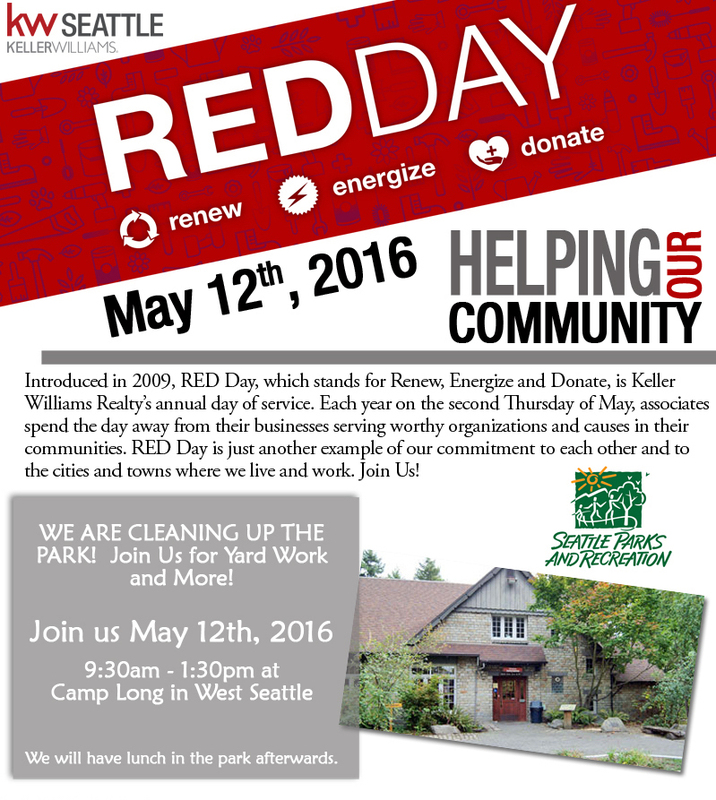 I am excited that this year Keller Williams Seattle Metro West & Keller Williams Downtown Seattle will be cleaning up a local park in West Seattle – Camp Long! In years past we have done the same at Lincoln Park and helped fight Seattle homelessness by volunteering at the DESC.